Have you heard of the Gallup Q12 “engagement” factors? If you’ve been around HR for any length of time, you are familiar with Gallup Q12 research. It is a widely used “engagement” measurement. I put engagement in quotes because I don’t think these statements really measure engagement. At least how I define it, but that is an entirely different article. A while back I ran across an interesting analysis of the Gallup Q12 research. This research looked at how each of the Gallup Q12 statements related to overall engagement. It compared the percentage of “engaged” workers who agreed with each statement to how many “disengaged” workers agreed with the same statement. 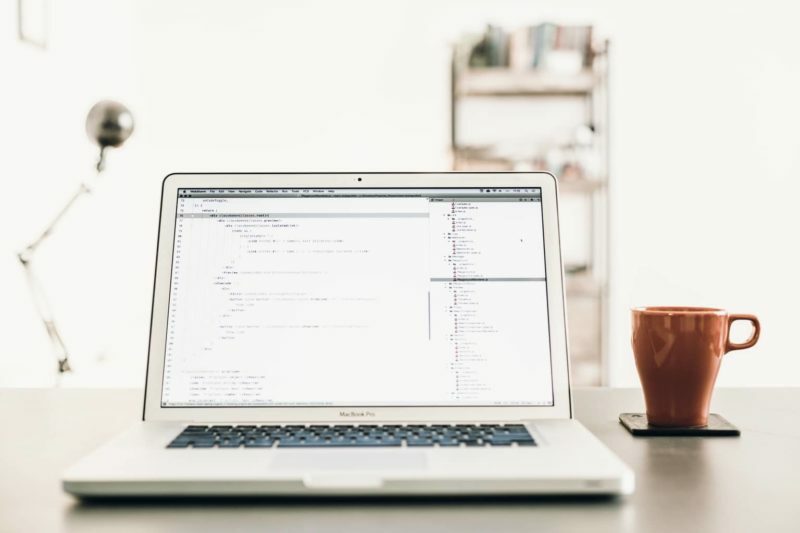 For example, if you looked at the statement “I have a best friend at work” (a statement that I don’t think is related to engagement by the way), 74 percent of engaged workers agreed with the statement. 19 percent of disengaged workers also agreed. For fun, I decided to run a “back of the napkin” (OK, back of the spreadsheet) analysis of the results for all 12 questions. But I added one more measure. I subtracted the disengaged people who agreed with a Gallup Q12 statement from the engaged ones who agreed with the same statement. The first thing I noticed were those bottom 5 statements. Especially the bottom two on work expectations and equipment. Items like these are routinely rated high on our surveys as well (we don’t ask them on our Approachability surveys for this reason). Statements like these are essentially unrelated to engagement. In other words, chances are good that you agree with these statements whether you are engaged or not. The next three statements relate to work relationships (“I have a best friend at work” and “my colleagues are committed to quality work”) and general satisfaction with your day-to-day work. These are only loosely related to engagement. The top seven statements appear much more related to engagement. Disengaged employees generally did not agree with them. 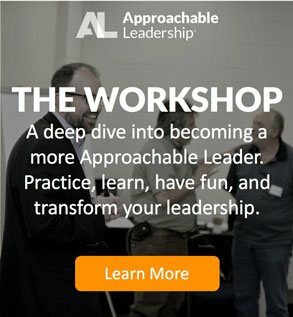 The top three statements especially stood out to me because they each relate to the third question of Approachable Leaders: Where are you going? The third question of Approachable Leaders is based on the assumption “people want to make progress.” And each of these statements is about progress and development. Lesson one is if you want to drive engagement, focus on progress and development with your team. If you want to drive engagement, focus on progress and development with your team. The next statement deals directly with leader connection. A net 80% of engaged workers believed their leader cares about them as a person. 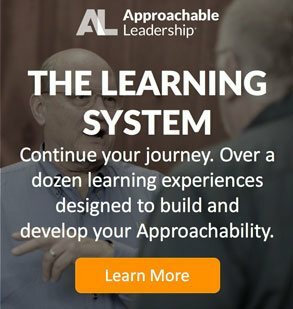 That is the second habit of Approachable Leaders – understanding and creating the “right feeling” of connection. Finally, the remainder of these top seven statements relate to acknowledgment and praise. Around a net 75% of workers agreed that their leaders praised them and encouraged suggestions. Not surprisingly, about the same number felt like their job was important to the organization. 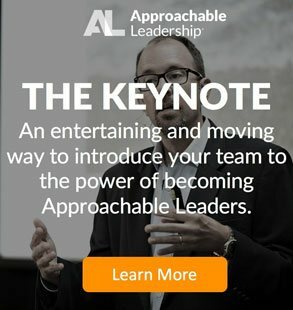 I think this analysis emphasizes how important the habits of Approachable Leaders are to employee engagement and motivation. However you define engagement or satisfaction (we suggest focusing more on organization citizenship) there is no question that some leader behaviors are more important than others. This research shows that the most important behaviors cluster around the same things Approachable Leaders focus on every day. Connect with others by being open to suggestions and feedback. Be understanding. And support the progress and growth of each teammate. What have you tried to improve engagement with your team? Any out of the box ideas that worked? What about supposed “tried and true” efforts that didn’t? What do you think was missing? Let us know in the comments!